Tag: Somewhere Safe With Somebody Good by Jan Karon. Summary: Father Tim Kavanagh has returned to Mitford, North Carolina with his wife Cynthia. He’s retired, but feels his life is missing something. He can’t seem to figure out what he wants to do about it. This is the twelfth novel in the Mitford series, which features the multiple generations of the Kavanagh family. The fourteenth novel in the series came out in September, 2017. Because both Karen (see her review) and I failed to finish reading this novel, it might be informative to try to figure out why. Ever been to a gathering where everyone else had known each other for a long time, such as the first time you met with all your in-laws? Or go to the company softball game when you’ve just been hired and they’ve been playing together for years? People who know each other well, and have history together, often speak in shorthand or code. You feel left out because you have no idea what they are talking about. Because this is the twelfth novel in the series, the characters are old friends to people who started the series at book one. The author apparently expects new readers to understand the characters the same way as old fans and makes little effort to introduce us. By jumping in at book twelve for this challenge, we are left standing on the outside. Although writers try to reach a general audience, realistically they often must gear their writing to the expectations of a subset of readers who prefer their genre. For example, cozy mystery writers avoid a lot of violence. Their books focus on restoring order to a community that is basically good. The pacing is moderate with a good distance between conflicts or incidents. On the other hand, thriller writers pile on the violence and often the central question is whether the villain is going to get away with the mayhem. The pacing is fast and distance between conflicts is short. As Christian Fiction, Somewhere Safe with Somebody Good is supposed to have a gentle touch with no violence and a relatively slow pace. As a person who reads mysteries and thrillers for fun, I like my novels to feel like I’m in a race car plunging down a hill. This novel felt like I was on a very rickety bicycle that meandered a lot. I didn’t like it. It is a personal preference, however, and many people probably find the slow pace refreshing. A good novelist provides little mysteries in the story. Those are questions put into a reader’s mind to keep them turning pages. To be effective, the answers should be revealed within a few pages, hence “little” mysteries. So, about 40 pages later we learn that apparently he didn’t wear a tux. If you had forgotten the question, the answer was so subtle you would have missed it. If you had remembered the question, it was a long time to ponder such a trivial mystery that apparently had no bearing on the plot except to send the main characters to visit a friend. The author promised a reward, but never fulfilled it. In fact, the novel is way too slow in providing the solutions to the little mysteries throughout. Another example: On page 19 we learn that Irene is missing and her front door was left open. That sounds alarming. Has something bad happened to her? On page 38, they check again. Irene still isn’t home, but this time the police show up. When do we find out what happened to Irene? Not until page 90, where we learn she was in Georgia with her new grandson. She was never in danger. The reader is left wondering why such good friends, who knew so many other details of her life and felt comfortable rummaging through her house, didn’t know she was expecting a new grandson. Again and again the author has failed in her promises to the reader by either holding out too long or hiding the answers to the little mysteries, if she gives them at all (see quote in Karen’s review). When they arrive, the answers are often anticlimactic or serve no purpose. It was enlightening to me as a writer to realize how frustrating that was. I will definitely make a big effort to make sure any little mysteries I include will fulfill their promises to my readers in a timely way. The setting is the fictional small community of Milford, North Carolina. Although there was a map in the front, I never got a strong impression of place. In contrast, Alice Sebold, for example, never names the setting in Lovely Bones, and yet it seemed much clearer and much more concrete. Perhaps the setting has been described in detail in some of the earlier novels in the series? Again, jumping in at novel twelve was frustrating. In summary, some of the issues we had with the book were due to it being the twelfth in a series and others were issues with the author’s choices about plotting and storytelling. Perhaps the inability to connect with the characters and the settings would not have been a problem if we had read the novels in the order intended. Given the popularity of the books, that is likely the case. 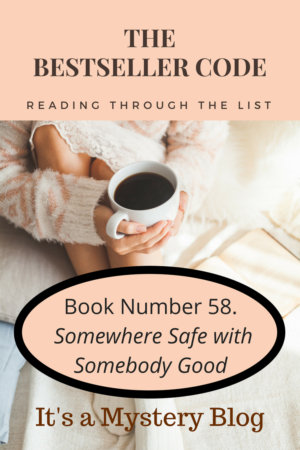 Have you read Somewhere Safe with Somebody Good by Jan Karon? We’d love to hear your thoughts. Somewhere Safe With Somebody Good by Jan Karon is next up on our 100 Bestsellers List reading challenge. Categorized as Christian/Domestic Fiction, Somewhere Safe With Somebody Good returns to Karon’s fictional town of Mitford, NC (think Mayberry), to continue the story of Father Timothy Kavanagh’s ordinary life in an ordinary town. It’s a peaceful town, a storybook small town where people are kind and life is sweet. The Mitford series has been extremely popular, with many of the later books landing on the New York Times Bestseller List, some even debuting at #1. Karon appears to have a loyal fan base! As Roberta mentioned in her #BookBeginnings post, reading a book that is placed in the middle of a well-established series isn’t always the easiest. Often you really need the backstory of all the characters to be able to follow the current story, and I found that to be the case with Somewhere Safe With Somebody Good. There are so many characters to get to know in the town of Mitford and I didn’t feel that Karon did a very good job of providing us enough backstory for each, which meant it was extremely easy to confuse who was who and why they were saying this or that. While shaving, he had an impulse toward the ridiculous. He scarcely ever did anything ridiculous. Puny’s ten-month-old twin boys were in the kitchen in their bouncing chairs, each with a pacifier. He was not a fan of the pacifier but it would be politically incorrect to express that opinion in his own household. Tommy burst into tears, the pacifier fell to the floor; Violet pounced and skittered it to the corner of the room. ‘Could you please pick ’im up? I got to get these steps cleaned off, you wouldn’ believe th’ raccoon poop out here.’ She closed the door. He picked up Tommy, all eighteen pounds, jiggled him as he had jiggled Puny’s first set of twins, Sissy and Sassy. Jiggling was good—Tommy stopped crying. She closed the door; he put Tommy in the chair, went after the pacifier, washed it under the hot water tap, and stuck it back where it belonged. Timmy, his very own namesake, looked up at him with Carolina-blue eyes. Timmy took the pacifier from his mouth, laughed, and handed it over. Out of the mouths of babes, so to speak. He kissed both boys on the tops of their heads. So, what exactly did Father Timothy do while shaving that was “ridiculous?” Did he shave only one side? Did he make a weird face with the shaving cream to scare the babies? Who knows? I kept reading, watching for reactions from others in the subsequent scenes that would indicate if he’d done some weird shaving of his head or something, but no comments were made, so I finally surmised he must have done something with the shaving cream itself. I tried, I truly tried, but I couldn’t finish this book. This is the very first one on our challenge that I’ve not been able to finish. I made it 45% of the way through and my patience wore out. Too many scenes like the one highlighted above just wore me down. Not knowing the backstory of all the characters led me to not care about their current stories. Perhaps it would have been different if I started with the very first book. 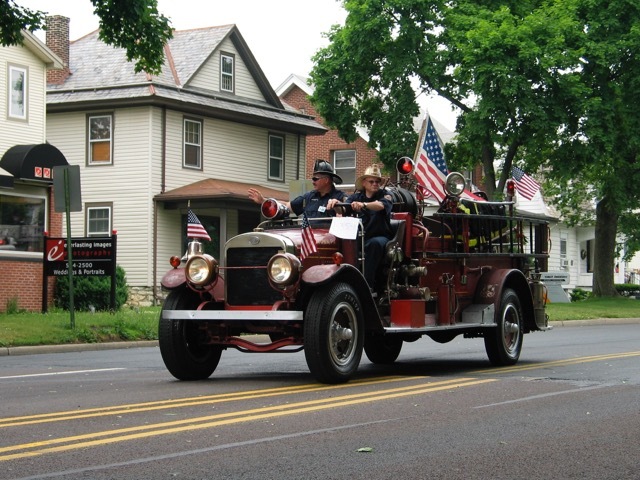 I know small town people and events can be interesting – I used to live in a small town. In fact, I’m pretty sure that’s why Somewhere Safe With Someone Good was a bestseller. One of the topics that The Bestseller Code’s algorithm found to be most useful in identifying best-selling novels was the topic of human interactions and relationships, human closeness and connections. Karon’s novel is all about human connections and relationships. In the end, though, that wasn’t enough for me. Her writing style that left me cold and confused and I decided there are simply too many good books out there to waste another moment reading one that I disliked so. Time to start the discussion of our next novel from The Bestseller Code 100 list, Somewhere Safe with Somebody Good by Jan Karon. Mitford is a fictional place, but there’s a map of the town in the front of the book. Have you written about Somewhere Safe with Somebody Good by Jan Karon? Feel free to add a link to your review in the comments. Today we’re starting the next book in The Bestseller Code 100 challenge, Somewhere Safe With Somebody Good by Jan Karon for Book Beginnings on Friday. Summary: Father Tim Kavanagh has returned to (fictional) Mitford, North Carolina with his wife Cynthia. He’s retired, but feels his life is missing something. Will he figure out what it is? His wife was determined to march him to the country club this Saturday evening. Worse, he’d have to stuff himself into his old tux like a sausage into a casing. For the rest of the first page, the husband and wife go about getting ready. In the meanwhile, we find out his first name is Timothy and he’s a priest (actually an Episcopal priest.) They’ve also just returned from County Sligo, which is in Ireland. Karen and I are always concerned when The Bestseller Code computer picks a novel that is later on in a series. A couple of the reviews I read, however, suggested it was safe to read them out of order. Each novel apparently does work as a stand alone. We hope so. What do you think? Have you read any books in the Milford series?